For Alcohol Awareness Week, Professor David Nutt explains how his latest research venture, an alcohol-free beverage, could address the dangers associated with alcohol consumption. Most of us are aware that chronic, heavy alcohol consumption and binge drinking leads to a plethora of health issues including liver damage and addiction. However, many of us are still unaware of the dangers associated with even moderate alcohol consumption or the cumulative effects that alcohol can have on our health. So just what are those regular trips to the pub, or the frequent cocktails after work really costing us? Research into the effects of alcohol provide a range of results. Some research (funded by the alcohol industry) has even been claimed to demonstrate that alcohol consumption is actually beneficial to our physiological health. Conversely the International Agency for Research into Cancer has demonstrated that the more alcohol you drink directly increases the risk of seven common cancers including: mouth, throat, oesophageal, larynx, breast, liver and bowel. Similarly, new research published in the British Medical Journal has revealed a potential link between moderate drinking and shrinkage of the hippocampus, a brain region associated with memory. These results suggest a link between moderate alcohol consumption and a potentially permanent alteration in brain structure. The overwhelming majority of research confirms that there is always a health risk associated with consuming alcohol and the latest guidelines published by the UK Chief Medical Officer suggest that detrimental health effects can be seen with only a small amount of alcohol, i.e. no amount of alcohol is completely safe to consume. 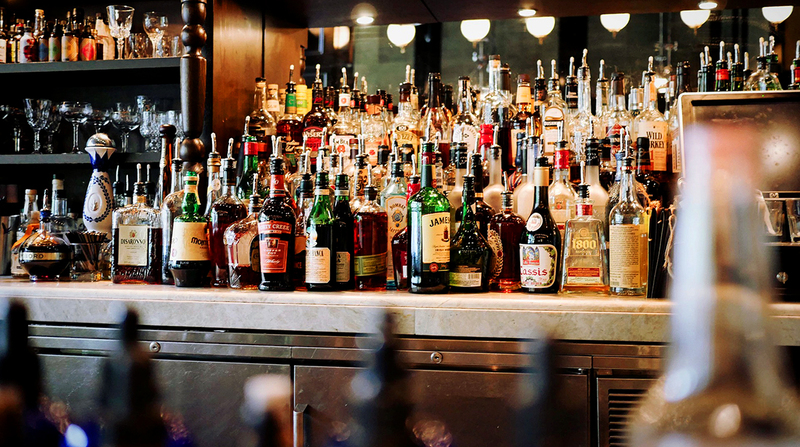 In spite of this, an extensive recent University of Sheffield study revealed a shocking general lack of health awareness in the general population, including that nine out of ten people were unaware of alcohol’s link to cancer. So how should being aware of these risks change how we celebrate and socialise? Alcohol plays a vital role in the social lives of many people and practicing moderation would seem to be very beneficial to our health, reducing the associated risks. But to dramatically reduce the risks whilst also maintaining an equally fun social atmosphere, we need a revolutionary alternative. We believe that scientific progress has opened the door to dramatic new possibilities. But to turn such possibilities into reality, we need to engage the very same drinks industry that depends upon alcohol for its success. We want to offer a practical solution to drinks manufacturers that they can employ to produce a wide range of attractive, enjoyable, ‘free from alcohol’ adult drink alternatives to suit every taste. There is further development and food safety work to be done, including close coordination with the regulatory authorities in each national jurisdiction to ensure any future product fully conforms to food and health standards. This type of project involves laboratory work and clinical trials. The work is expensive and realistically must be funded by private investors, rather than academia or the public purse. To take this forward, a new company called Alcarelle has been formed. Alcarelle’s goal is to raise the money required to then fund and lead the development of an alcohol-free adult beverage, which imitates the desirable features of alcohol’s pharmacological profile but without propensity to cause the disastrous effects of alcohol. The vision is a ‘free-from’ alcohol alternative that would enable a relaxed stress-free effect, calming inhibitions to encourage gregariousness and enjoyable social interaction. Alcohol’s role in society is firmly embedded and ‘free-from alcohol’ alternatives would not be intended to replace alcoholic beverages altogether. Rather, Alcarelle’s goal is for modern science be enable the drinks industry to generate additional beverage options for health-conscious consumers. If Alcarelle is successful, making an easy switch to truly enjoyable free-from alcohol products could mean that an evening of social interaction with friends or colleagues at home or in the pub is no longer fraught with the dangers that we must navigate today with conventional alcoholic drinks. 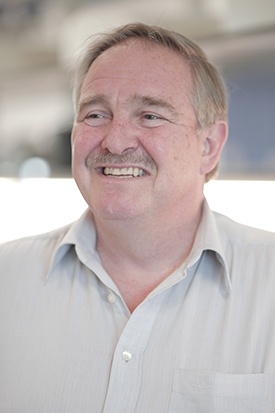 Professor David Nutt (@ProfDavidNutt) is currently the Edmond J. Safra Professor of Neuropsychopharmacology and director of the Neuropsychopharmacology Unit in the Division of Brain Sciences at Hammersmith Campus. Is this available? How could one find this product? Hi Jennifer. Prof David Nutt and team are in the second stage of fundraising to take Alcosynth through to a product. Do we know how long this might take? Also, how the product will be made available to the public?